Cambridge University is a hotbed for talented, enterprising and thoughtful musicians. What better an environment then to set up a new string orchestra, a rare beast in the UK’s music scene where smaller orchestral projects are dominated by early music ensembles or new music specialists heavily weighted towards the woodwind, brass and percussion elements of the orchestra. The Seraphin Chamber Orchestra was born out of a desire to perform the rich vein of repertoire for strings, from Vivaldi and Mozart through to Stravinsky, Britten and beyond, as well as to encourage living composers to write for this ensemble. SCO seeks to provide experience for top student players working in a condensed intensive fashion which fits in with their studies, in collaboration with young professionals. The Orchestra also aims to support emerging composers, encouraging them to explore the possibilities of writing for strings and granting them performances of their work in an open-minded culture and by committed players. The challenges of setting up a new orchestra are numerous and complex, but the enthusiasm and commitment of the players has been a significant boost each time another challenge disrupts my plans! Repertoire planning is fun and exciting, as is rehearsing and performing with the orchestra, but devising marketing strategies, organising the box office, securing concert and rehearsal venues, hiring parts and raising funds are all removed from my artistic comfort zone and can often feel quite overwhelming. It is all worth it when twenty talented musicians come together to make fantastic music. So what are my ambitions for the Seraphin Chamber Orchestra? I will not be studying at Cambridge forever and do not wish the Orchestra to disappear when I complete my PhD. By the time I graduate in 2019, I hope to have a financially independent orchestra with a strong following and the capacity to hold its own beyond Cambridge’s stone-walled colleges. The original ideals of combining talented students with professionals, performing a wide range of neglected music and inspiring a new generation of composers will always remain at the heart of the Seraphin Chamber Orchestra. Our next concert will take place at 8pm, 19th November at King’s College Chapel and tickets are available to purchase online here. If you would like to follow the Seraphin Chamber Orchestra please do join our mailing list for notice of future concerts, exclusive ticket offers and insights into the orchestra’s process. You can also follow us on Twitter @SeraphinCO and Facebook. To support our endeavour the Seraphin Chamber Orchestra would be hugely grateful for donations of any size which help our continued development. Please contact info@joylisney.com for more information. Musica Sacra. There is more than one festival of that name. But there is only one festival that immerses the visitor in a total experience… no sense is left untouched. The festival still reverberates with the 2008 appearance of Arvo Pärt. On the 15th August, the Assumption of Mary, I was joined by my father James Lisney for a very special concert to mark the beginning of the Musica Sacra festival in Belgium. The festival’s home is Rosario, an oasis for reflection and rejuvenation with music at the centre of its philosophy. Guests are invited to stay in simple rooms with wooden floors and furniture – nothing in Rosario is surplus and yet I have spent the most comfortable nights of my life within its walls. Meals are taken in company at the long wooden table, either indoors with the aromas wafting through from the bustling kitchen or, in summer time, in the courtyard surrounded by nature. Only organic, fair-trade ingredients are allowed to cross the threshold into Rosario, where they are combined in delicious dishes to nourish both body and soul. The opening concert of Musica Sacra took place in the chapel of a Capuchin monastery tucked away in a neighbouring village. The chapel itself remains largely unchanged since its founding of 1616 by the Arenberg family, a secret gem now hidden among the bustling cobbled streets of the town that has grown up around it. The Arenbergs were once one of the richest families in the Benelux countries – at their most prosperous the family’s land stretched unbroken all the way to Russia. Beneath the chapel where we performed is the crypt where nearly one hundred members of the Arenberg family lie entombed. This concert exposed many significances, some intentional, and others even we had not planned or considered. In accordance with the religious sincerity of the event, applause was reserved until the end of the concert which proceeded unbroken between each musical offering. Our programme began and ended with Arvo Pärt, in particular tribute to his attendance at the 2008 Musica Sacra festival. Für Alina was dedicated to a young 18 year old girl just setting off to pursue her studies in London. At the heart of the piece is simplicity, indeed it was designed to be playable by any pianist, regardless of technical advancement. It is particularly notable for its bell-like tolling, the first piece to showcase Pärt’s ‘tintinnabuli’ style for which he became famous. Benjamin Britten’s enigmatic 3rd Suite for Cello emerged out of the silence, with a deep tolling pizzicato on the open C string accompanying a simple melody whose narrow range and speech-like contour creates the sense of melancholy at the heart of Russian plainchant. At this exact moment the bells of surrounding churches began to sound their tribute to the Virgin Mary’s Assumption, their music filtering through the thick stone walls. In this moment, everybody, of any religion or none at all, felt the presence of a higher being, or intention: the bells were tolling on the same note that underpinned the cello’s music – C.
The 3rd Suite concludes with the exposure of its central themes, that is, a collection of Russian folk tunes, taken from Tchaikovsky’s arrangements, and finally the Kontakion of the Russian liturgy. These references were Britten’s special tribute to his friend and the piece’s dedicatee, Mstislav Rostropovich. The Arenbergs’ ancient ties to Russia rang with silent significance from the crypt below. Another English composer continued this programme: Sir John Tavener’s Pratirupa for solo piano held sway for thirty minutes fluctuating from celestial serenity to the deepest fires of violence piano and pianist could muster. Tavener, (like Musica Sacra) is interested in the exploration of many world religions, their differences and what unites them. Finally, a return to Pärt and the familiar calm of Spiegel im Spiegel. The title means Mirrors in Mirrors and thus continued the theme of musical reflections. The closing chord died away and one by one, audience members and performers surfaced from their respective reveries. The audience kindly applauded and stood to show their appreciation and we were presented with sunflowers by two children. It was at this moment that the low clouds parted and sunlight streamed through the dusty windows, gilding the chapel’s beauties and casting a warm glow across the congregation. The Cross-Eyed Pianist has created a fantastic blog which any music-lover and pianists in particular would enjoy! She has very generously conducted this interview with me. Backstage at the Royal Festival Hall, Rostropovich had just given the London première of Shostakovich’s First Cello Concerto. 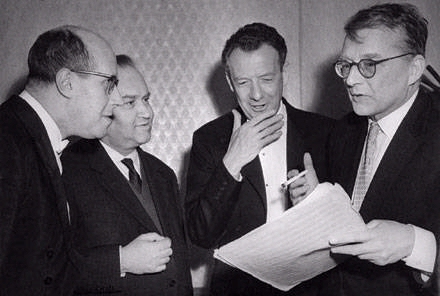 Britten, personally invited into the green room by Shostakovich, soon committed himself to writing a cello sonata which he duly completed and then recorded with Rostropovich in 1961. This was the beginning of one of the most fruitful composer-performer relationships of the twentieth century. Within a few years, Britten completed his Cello Symphony, which remains a giant of the cello concerto repertoire. The three solo suites were written over the next ten years and are widely considered to be the greatest addition to the solo repertoire since J.S. Bach’s six suites. In 1964 Britten presented Rostropovich with the Suite for Cello op. 72 as a Christmas present, inspired by a performance of Bach’s cello suites. This large work is in six diverse movements, split into pairs by three ‘canto’ movements which function like the Promenades from Mussorgsky’s Pictures at an Exhibition– always recognisable but appearing in new guises with the development of the suite. They help to guide the listener through this complex piece – Britten was clearly aware of the challenges of understanding solo cello music in this style. Despite having never played the cello, Britten achieves superbly idiomatic writing as he stretches the instrument to the limits of possibility. The piece opens with the optimistic Canto Primo, full of rhetorical gesture and dramatic harmonic tension-and-release. Britten thickens the texture by using double-stops throughout, often writing out three-note spread chords. It fades away to a glimmering D major and out of the brief silence, the first of our six movements emerges: Fuga. The writing of fugues found a new vogue in the twentieth century, most notably with Hindemith’s Ludus Tonalis, and Shostakovich’s 24 Preludes and Fugues op. 87. Both these composers were directly inspired by Bach’s monumental benchmark: Das Wohltemperierte Klavier. None of Bach’s solo cello suites include fugal movements, because they are structured traditionally as dance suites, but he was not averse to writing fugues for other string instruments: each of his solo violin sonatas begins with a Prelude and Fugue pairing. Britten includes fugal movements in all three of his solo cello suites, recognising the advancement of cello technique that took off during the twentieth century, and rises impeccably to the challenge of creating a fugue for an instrument most suited to the realisation of one line. The cellist’s task is to bring out the different voices by variation of the tone quality and careful phrasing. The subject is exposed and developed, growing to an explosion which rapidly falls away into glassy harmonics, a ghost of its former self. Britten follows this movement with the Lamento, a simple song which blends straight into the Canto Secondo: Britten’s second use of his ‘Canto’ theme is this time suffused with melancholy. The fiery Serenata springs out of the ashes and is played entirely by plucking the string with both hands. It has an unmistakably Spanish character and Britten uses the cello like a guitar with cross-rhythms rooted in flamenco traditions. Like its fellows, this movement outlines a clear journey, culminating in a breathless ascent to a solitary top A, with the piercing feeling of thin air and bright clarity only experienced at extreme altitude. Britten’s next movement is another dance – the Marcia begins with the bugle calls and drums of an approaching military band, achieved by tapping the wood of the bow on the string – col legno. The music gets closer and closer until a powerful singing outburst obliterates the martial precision of the opening. The marching band is soon heard again, already retreating palely into the distance, defeated. The ensuing Canto Terzo marks a new milestone of the suite, building to a passionate climax with clashing discords and then fades away, appeased, to a deserted open D string. This note becomes the drone for the ensuing Bordone, an eclectic movement paying homage both to the Baroque style of monodic recitative over a droning bass and Balinese tuning and texture. 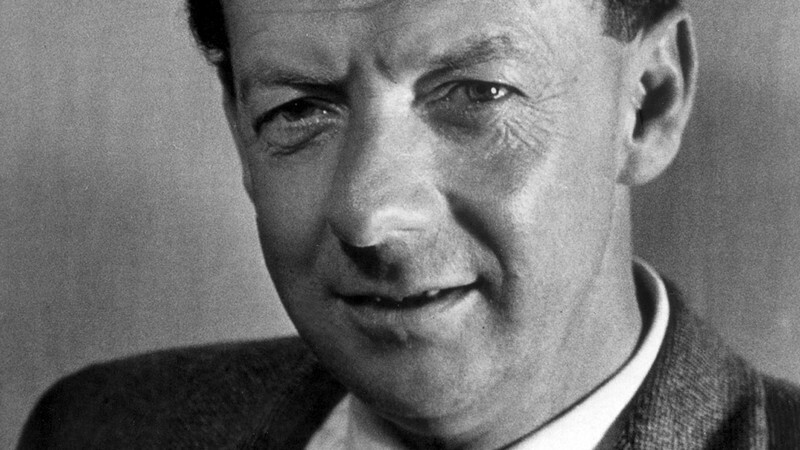 Britten toured Japan and Indonesia in 1955-6 and integrated material borrowed from Japanese, Indian and Balinese music with his own style in subsequent works. The Prince of the Pagodas (1957), for example, is scattered with gamelan techniques from Bali. Finally the devilish Moto Perpetuo e Canto Quarto explodes out of this meditative stasis, a flurry of chromaticism, which surges up and down, spinning across the range of the instrument. 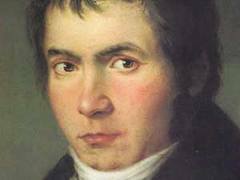 Suddenly, the Canto Quarto bursts through, and its dazzling sunlight battles to and fro with the determined flood of notes. As we approach the end, the two themes are blurred and then united for the final gallop to the finish. Britten composed his Suite for Cello with a performance of Bach’s six suites imprinted on his mind. Despite the greatness of this music, the most powerful aspect of his inspiration must have been Rostropovich’s phenomenal virtuosity and vitality of expression, blessing these pieces with a theatricality and communicative force unsurpassed in music for solo cello.